He have had a good number of wrecks in the County due to weather. So be safe out there today. 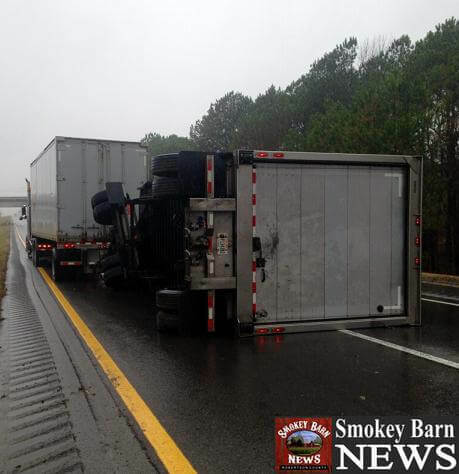 Around 8:30AM there was rollover accident involving a tractor trailer on I65 South at the 107 between exit 104 and 109. It is a UPS double tractor trailer, the second or rear trailer has overturned in the fast lane. No HAZMAT no injuries. The THP has traffic diverted to the emergency lane, so traffic is moving but slowly. Aroung 8:00AM an injury accident occurred at HWY 49 and Hancock in Springfield. The accident occurred around 8:00AM. 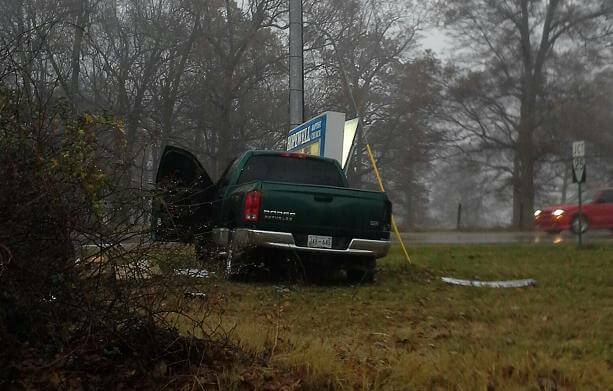 A pickup truck has collided with the Hopewell Baptist Church sign. Location of wreck.